Netflix got its first Emmy nominations last week but its share price still slumped after it announced its results. THE ONLINE VIDEO group Netflix said its profits jumped in the past quarter, giving it some cash after recent Emmy nominations, but the results left investors cold. Netflix said profits jumped nearly fivefold in the second quarter to $29.5 million (€22.3 million), topping most Wall Street forecasts. But its share price slumped seven percent in after-hours trade to $243.39 (€184) on concerns that its subscriber base is growing more slowly than in the past. The company added 630,000 new US customers in the quarter, after increasing by over two million in the past two quarters. Netflix said it sees the prospects of more competition and a saturation of the US market. “We are generating steady growth in members, revenue, and contribution profit,” Netflix said in a letter to shareholders. 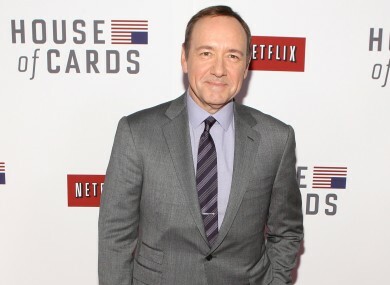 Netflix recently broke ground with nine Emmy nominations for its original “House of Cards” series, becoming the first online service to be nominated. But it faces competition from the likes of Amazon, Hulu and others in the US. Netflix launched in Ireland at the start of 2012. Email “Netflix profits jump (but Wall Street isn't impressed)”. Feedback on “Netflix profits jump (but Wall Street isn't impressed)”.